Today's post is a prime example of why I decided to do this Challenge. You may remember me saying last week that when I looked in my vault, I already had manis for 13 of the 31 Challenges- well, this is one of them. This has been lurking since 11th April lol. I don't know why it hasn't seen the light of day yet, especially as I was really smitten with it at the time. 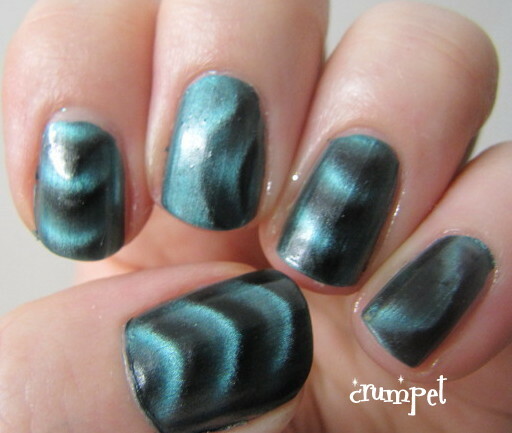 What's interesting this morning, is that when I've edited the pics, the mani looks quite pedestrian, yet I distinctly remember this having the wow factor in real life. 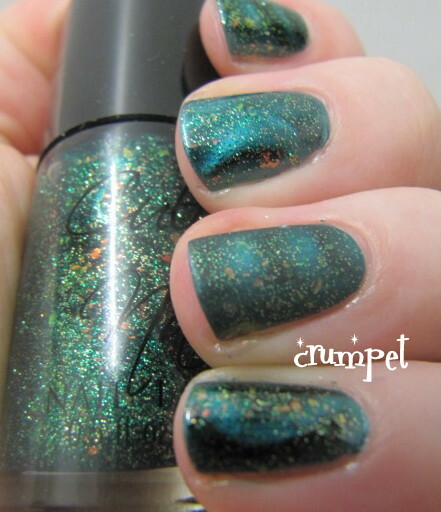 So, this is Nails Inc Whitehall, a green magnetic polish. I was a bit foolish when I bought this, I thought it was going to be bluer (we all know I wouldn't have bought ANOTHER green). 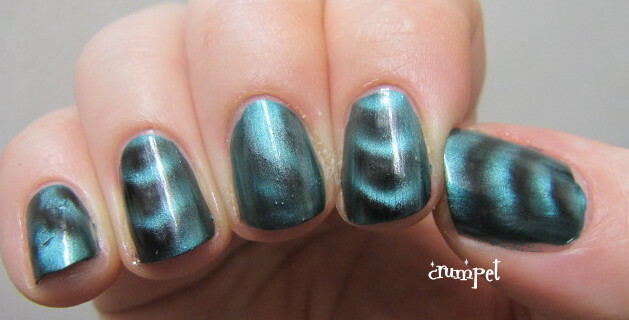 The Nails Inc magnetics are some of the priciest out there, but they are flawless. They apply easily and do the magnetic thing really easily as well. 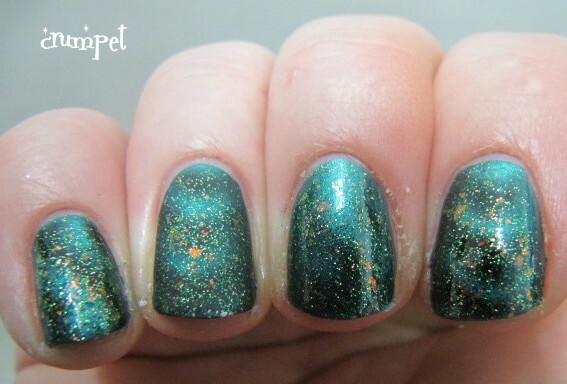 I then layered the mani with Toxic Seaweed from Cult Nails, and this really added a layer of magic. 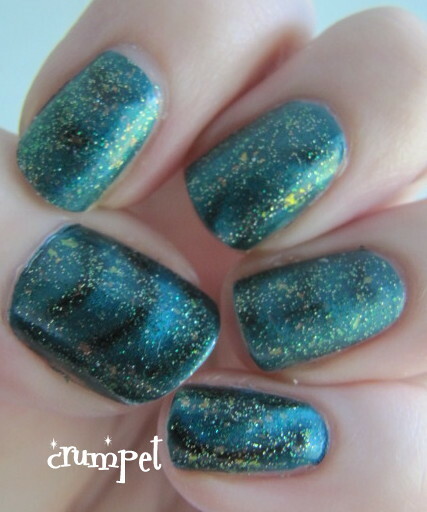 The gold perfectly complimented the magnetic elements of the polish. Like I say, it's a bit of a bummer that these photos don't do my memory justice.